DJ Snake’s productions are as hot as they come, so a quadruple effort between him, Ozuna, Selena Gomez, and Cardi B require a whole new emoji via the producer’s Instagram. The volcano classification describes the forthcoming track which we assume will be entitled “Taki Taki,” due to Ozuna’s description in his Instagram caption. A couple of weeks back all of the collaborators hyped up the video for the collaboration but no audio or visual previews reached the light of day quite yet. We can assume the project is ready to fire off at any second now. 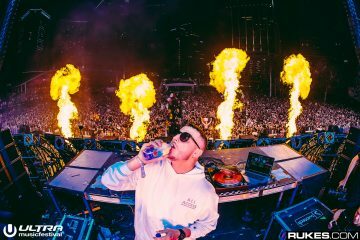 For those lucky enough to live in the New York or Los Angeles area, DJ Snake is playing in Brooklyn on October 26th and in Los Angeles Halloween night. Look forward to something really special hitting Spotify, Apple Music, and all socials very soon.